DailyTech's Jason Mick reports that Mac shipments are on the rise in the wake of Apple's new MacBook releases at the Worldwide Developer Conference (WWDC), which are helping propel Apple sales to grow at a faster rate than PC sales with a reported 25% month-to-month increase in Mac shipments in May, while the market in general only saw only a very modest 1 percent growth. "The new MacBooks are hot - and we're not talking about the lap-scorching temperature of their aluminum unibodies. "Apple's online store is currently showing a 7- to 10-day delay in shipping two models of the MacBook Pro - the high-end ($1,500) 13-inch and the entry-level ($1,700) 15-inch." DIGITIMES' Hans Wu and Adam Hwang, report that the tight supply of notebook hard drives is expected to continue throughout the third quarter, according to IC distributor GMI Technology and Weikeng Industrial, sales agents for Toshiba, Hitachi, and Western Digital (WD). "The demand for Toshiba's 250GB single-platter HDDs from notebook players has increased significantly since May 2009...."
Hardmac's crispin and Lionel report that many sites are discussing how the 13" MacBook Pro is such a success that Apple is being challenged to keep up with demand for the top-of-the-range 2.53 GHz model, which has a delivery date of 7 to 10 days vs. 24 hours for other models. They suggest that the real bottleneck is with the 250 GB 5400 rpm hard drives that come standard in the 2.53 GHz vesion and note that if one chooses that drive on the entry-level model, they also get a delivery date of 7 to 10 days. When they further specify a different storage drive option from the 250 GB hard drive with the 2.53 GHz model, delivery time drops to 3 days - normal for a build-to-order machine - so the only problem that Apple seems to have is a shortage of 250 GB drives, something Digitimes reported recently. "Is there a downside to squeezing a real graphics processor into a 3-pound, ultra-thin laptop? Not if it's a MacBook Air. "Surprise: higher performance = lower heat...."
"A few MacBook Air users have noticed the recently released update for these computers either will not install on their systems or will not show up in the Software Update panel." Rob Galbraith observes that not only does the recently-revamped 15" MacBook Pro now ship with a superb colour-accurate display, the new 13" MacBook Pro does also, and the the 17" has both a great display and an antiglare option. All told, says Galbraith, the current MacBook Pro lineup offers the best displays for photographers ever seen from Apple, with a potential solution for the remaining bugaboo - display glossiness (Rob is not a fan, and explains in considerable detail why glossy displays are a deal-breaker for him) - coming a bit later this year. This is an excellent, comprehensive review and analysis of the state of the art in MacBook Pro displays particularly in the context of using Apple laptops as a serious photography tool with lots of photo illustrations, and Galbraith says that no matter which of the three MacBook Pro models you select, you'll be buying a display that delivers better colour accuracy than any Apple laptop he's ever profiled since he first began doing so in earnest back in 2001. Rob also looks at how the MacBook Pro displays stack up against the the 17" Lenovo ThinkPad W700 that incorporates a colour-accurate display (when ordered with its 400nit screen option) and a host of other features aimed at photographers, including an optional screen calibrator built into the palmrest. There is a discussion of the relative virtues of the 13" vs. the 15" MacBook Pro, with Rob noting that while conventional wisdom has it that a laptop in the 15 inch range will usually offer photographers the ideal mix of features and size, the new 13 inch unibody MacBook Pro offers the key elements of the 15 inch, including a colour accurate display, FireWire 800 and more in a smaller, lighter and less expensive package, and in actual use the one he's kept gravitating towards is the 13" MacBook Pro, which he says could well be the more enticing option for Mac-based photographers wanting to pay less and carry less. Still on the topic of displays, MacNewsWorld's Chris Maxcer notes that a widescreen Apple display looks nice alongside a Mac Pro, with their matching aluminum constructions, but queries whether beyond design aesthetics whether the value proposition for Apple's lineup of pricey monitors shapes up compared with features and specs compare with rivals' elite and cheaper offerings. For example Apple's "cheapest" display option, the notebook-oriented 24" LED Cinema Display, sells for a whopping $899 and the 30" Apple Cinema HD Display $1,799 while it's easy to find displays of similar sizes for hundreds of dollars less from brands like Samsung or HP or even Dell. So is buying Apple displays and why? "While it's true that the 'memory effect' suffered by older battery technology is largely gone in lithium cells, the purpose of running a battery down before recharging it is to keep the chemistry active inside the cells. If your MacBook is always plugged in and just topping off, the chemicals in the lower portion of the battery don't get used as designed and can decay prematurely. "If you purchased one of Apple's new mid 2009 MacBook Pros with the sealed battery, it's especially important to calibrate the battery right away and then every few months after that. Apple also advises that if you normally leave your MacBook connected to AC power and rarely use it on battery power you may want to perform this process once a month. "It's curious that Apple makes no mention of this use it or lose it battery guidance in the MacBook Pro user guide. How are people supposed to know about this technique if it's not in the manual and not on their Web site?" "Many Apple enthusiasts are dreaming of the day when the company will offer a tablet. Popular prognostication holds that it will be something like an iPod touch on steroids. Those who want a full-blown Mac tablet, however, need look no further than Axiotron. The company is perched in a unique position: Its kits allow certified Apple re-sellers to turn MacBooks into Mac tablets - otherwise known as 'Modbooks.'" "Because of an Apple technician's mistake, Gennadiy had two options for repairing his 2009 MacBook Pro: either pay $1240+tax to replace the logic board because Apple said water damage voided the warranty, or push the unseated cable back into place and prove that there was no water damage which would void the warranty. Gennadiy took the second option and saved himself over $1300, but now has no warranty should something actually happen to the logic board that should be covered." "For the money, there is no better-built notebook," Tom reiterates, adding that the MacBook Pro is a five-year machine, by design and track record, and "If you choose to replace a 15-inch MacBook Pro in two years, you'll be able to sell it for most of what you paid for it." "Last year's arrival of the aluminium 'unibody' MacBooks (see Apple MacBook 13in) was something of a revelation where laptop design was concerned. No surprises there really, if nothing else Apple is known for its great design. However, as impressive as the new MacBooks were, there were one or two niggling issues that prevented the full TrustedReviews stamp of approval: a Recommended Award. Now that Apple has refreshed its line-up, it's time to see if any of the changes warrant an upgrade in status." "Non-user replaceable battery aside, it's difficult to find fault with the new 13in MacBook Pro. All the things that made it great in the first place remain, but they've been joined by highly desirable features like the FireWire port, SD card reader and the now standard backlit keyboard. Add-in outstanding battery life, a faster CPU and a slightly more affordable price and you've got a package well deserving of a Recommended Award." "The aluminium MacBook has been reworked and promoted to the rank of MacBook Pro. This means that the plastic MacBook is once again the sole mainstream model for consumers, while the shiny metal stuff is reserved purely for 'serious' folk." PR: Netbook, notebook - they sound the same. According to a new report from leading market research company, The NPD Group, many consumers believe the two have the same functionalities. NPD's Netbooks II: A Closer Look report, found that 60 percent of consumers who purchased a netbook instead of a notebook thought their netbooks would have the same functionality as notebooks. That confusion about functionality is leading to some dissatisfaction. Only 58 percent of consumers who bought a netbook instead of a notebook said they were very satisfied with their purchase, compared to 70 percent of consumers who planned on buying a netbook from the start. Satisfaction was even harder to ascertain among 18- to 24-year-olds, one of the main demographics manufacturers were hoping to win over with the new products. Among that age group, 65 percent said they bought their netbooks expecting better performance, and only 27 percent said their netbooks performed better than expected. One marketing aspect that has interested buyers is the portability factor. It's been the key marketing tool for netbook manufacturers, and consumers agree that it is a great feature. Sixty percent of them said that was a main reason they bought their netbooks. 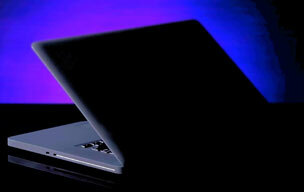 However, once they got home, 60 percent of buyers said they never even took their netbooks out of the house. "We need to make sure consumers are buying a PC intended for what they plan to do with it," said Stephen Baker, vice president of industry analysis at NPD. "There is a serious risk of cannibalization in the notebook market that could cause a real threat to netbooks success. Retailers and manufacturers can't put too much emphasis on PC-like capabilities and general features that could convince consumers that a netbook is a replacement for a notebook. Instead, they should be marketing mobility, portability, and the need for a companion PC to ensure consumers know what they are buying and are more satisfied with their purchases." Nearly 600 adults from NPD's online panel who were identified as netbook owners completed this survey between April 27 and May 4, 2009. QuickerTek announces the MacBook Battery and Charger Lite for Apple MacBooks. Users gain up to five hours of additional battery power - beyond the power of the built-in MacBook battery. This MacBook External Battery Charger Lite charges the internal battery of the MacBook, MacBook Pro and the MacBook Air while in use. Tekserve is the exclusive stocking reseller for $249.95 USD. Like Quickertek's original MacBook Battery and Charger, users get 25% more power from a smaller physical size battery. This new version is both smaller and lighter, as well as less expensive than the original. QuickerTek's new MacBook External Battery Lite powers the MacBook and charges the internal battery while in use. Users immediately enjoy the power of the external battery as the battery charge percentage in the Apple menu bar remains at 100% for hours before the internal battery charge is touched. The machined aluminum anodized case matches your MacBook. It comes with a MacBook charger, an external battery charger and is built for three times the standard battery recharge cycles - 1,000 full recharges. Like most QuickerTek products, the new MacBook External Battery Charger Lite is backed with a one-year warranty on parts and labor. PR: Colorware have announced the limited edition Stealth MacBook Pro, a 3.06 GHz Intel Core 2 Duo 15" unit with a custom matte display, a 256GB solid-state drive, and a smooth-textured, zero-gloss black finish reminiscent of the livery used on the US Air Force's F-117A Nighthawk stealth fighter and B-2 Spirit stealth bomber aircraft. Only ten units will be produced, selling for (are you sitting down?) $5,999. ColorWare's Stealth finish uses SofTouch technology, adding to its smooth-feeling covert look while protecting the surface from fingerprints and minor scuffs of normal use. The ColorWare Stealth is a must-have for a select few wanting a computer as powerful as it looks - and with only 10 available, it won't go unnoticed. 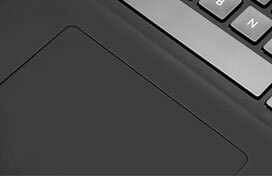 Detail: The trackpad and powerbutton on the Stealth MacBook Pro. PR: Bummed about Apple dropping ExpressCard 34 support from the new 15" MacBook Pro in favor of the SD Card format? The MicroU2E-MV USB 2.0 to USB 2.0 Mode ExpressCard Adapter allows use of USB based ExpressCards with USB 2.0 equipped computers. USB mode ExpressCards include: Novatel Wireless Merlin ExpressCards (XU870, EX720, V740), Option Wireless GT Max 3.6 Express and GT Express 7.2, storage media ExpressCards like the expSSD, simple minded RS-232 host adapters like Synchrotech's EXP34-RS232-01, most ExpressCard to memory card media adapters like Synchrotech's CFExpressPro, and several others. Note that the device will not work with any ExpressCard using the PCI Express (PCIe) portion of the ExpressCard standard. This is the majority of ExpressCards that do any other than the devices discussed above. Any real host adapter for SATA, FireWire, Ethernet, USB 2.0, etc. will not work with the MicroU2E-MV USB 2.0 to USB 2.0 Mode ExpressCard 34|54 Host Adapter. The MicroU2E-MV USB 2.0 to USB 2.0 Mode ExpressCard 34|54 Host Adapter should provide more than enough power to ExpressCards when plugged into a 500mA USB 2.0 port. However, some ExpressCards including WWAN wireless broadband cards benefit from the use of the DoubleQueue cable plugged into two USB ports. The additional power helps when located further from wireless carrier towers. Use with 300mA USB 2.0 ports is not recommended and may not provide sufficient current for certain ExpressCard applications. 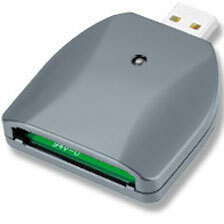 Using USB 2.0 technology, the device supports high speed applications including HSDPA and HSUPA ExpressCards. The MicroU2E-MV USB 2.0 to USB 2.0 Mode ExpressCard Host Adapter is very small and lightweight, providing excellent portability. PR: LaptopComputerGuide.org releases a new laptop buying guide video to help potential laptop buyers find the right laptop for them. This brief video covers all the major factors or features anyone buying a new laptop should consider. Which laptop computer has your name on it? Since there is such a variety of laptops in the stores, finding the perfect match to meet your specific needs can be a daunting task and does takes some consideration. LaptopComputerGuide.org has just released its first laptop video entitled: "Which Laptop Computer Has Your Name On It?" This informative video explains the different types of laptops currently on the market; from small mobile netbooks to large high performance gaming laptops. Then it goes into detail about all the different factors or features any laptop buyer should consider before they make their final choice. "Since there is such a variety of laptops in the stores, finding the perfect match to meet your specific needs can be a daunting task and does takes some consideration," states Titus Hoskins, a former art teacher who now runs the LaptopComputerGuide website. "This short video covers many of the factors or features potential laptop buyers should examine before they make their final choice." Laptop technology is changing at an ever increasing speed, so it is sometimes difficult for the average consumer to keep up with all the latest features and innovations. 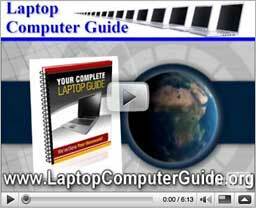 That's where this video and our handy laptop buying guide enters the picture. Basically, this video helps the consumer select the right laptop that will get the job done. It approaches the problem from the buyer's perspective - just how do you choose the right notebook computer to accomplish all the tasks that's required of it. The video is also being placed on YouTube, as well as on other different video sites across the Web. 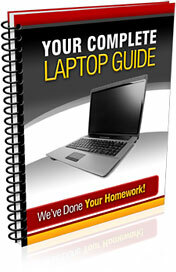 It will also be embedded on the popular Notebook Computer Guide section on Bizwaremagic.com, which is the parent site of LaptopComputerGuide. The two sites will work closely together in order to deliver top-quality content to their users. This video was professionally produced through ThePhantomwrtiers.com, which runs a very convenient video article marketing service. "This is our second video from them and we have more laptop videos in the planning stages," says Hoskins. "Videos make for excellent marketing tools, especially on today's web." Viewers of the laptop video can also download a handy Laptop Computer Buying Checklist in order to educate themselves before purchasing their laptop. They can also subscribe to a Weekly Newsletter which features timely coupons and discounts from most of the major laptop computer makers. These laptop coupons are updated on a daily basis.